The Foo Fighters have cancelled Netherlands and Switzerland concerts after Dave Grohl sustained “at least one fracture” when he fell off the stage during a concert in Gothenburg, Sweden. The band will no longer play the Pinkpop Festival in Landgraaf, Netherlands, on June 14 and a show at the AFG Arena in St Gallen, Switzerland, on June 15. 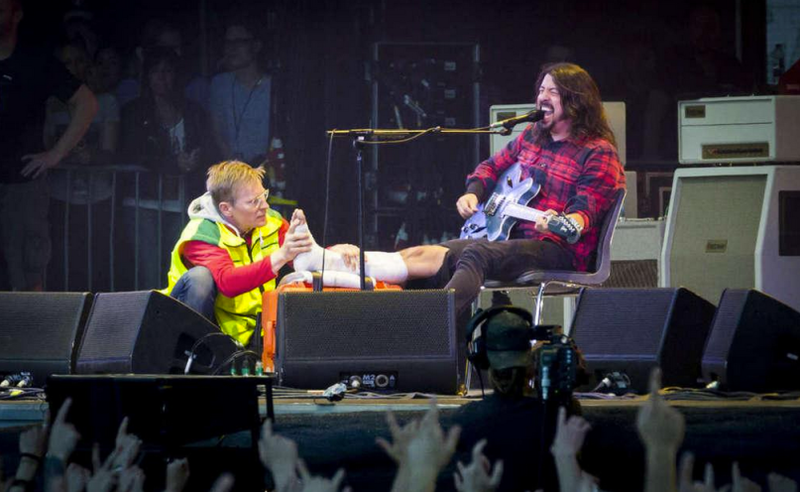 A statement issued by the band said the full extent of Dave Grohl’s injuries were yet to be determined. They are yet to say whether two Wembley shows in the UK will go ahead on June 19 and 20. The Foo Fighters were two songs into their set at the Ullevi stadium when Dave Grohl went to jump on a ramp but missed and fell into the security area. The band were due to play their next concert on Sunday at the Pinkpop festival, followed by two dates at Wembley Stadium and then a headline set at the Glastonbury Festival on June 26. A statement on the Wembley website said: “We are aware of the incident last night involving Dave Grohl and are in contact with the event organizers, who at this stage have no further information.